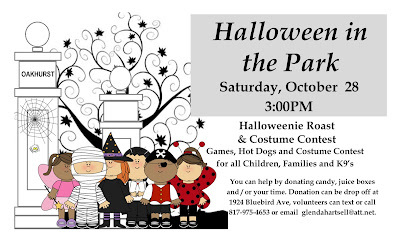 Oakhurst Neighborhood Association, Fort Worth, Texas: Save the Date for ONA's Halloween in the Park! Save the Date for ONA's Halloween in the Park! Halloween is fast approaching! 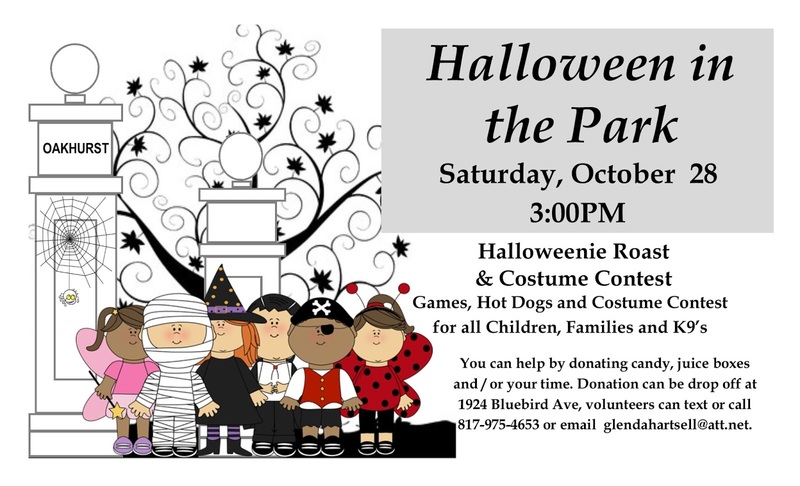 Join us for ONA's annual Halloween in the Park on Saturday, October 28, at 3 pm. Click on the flyer below to view more details. We need your help with donations of time and money to make this a successful event! 10/14: "PETS of Oakhurst Park"
October's Oak Leaflet Now Online!